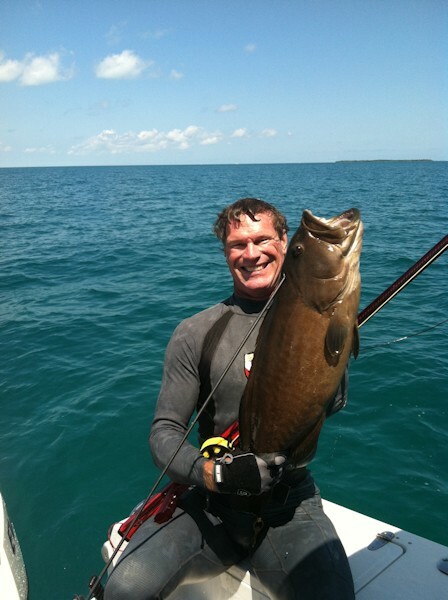 Got out Sunday down to the west and shot a couple groupers. When law enforcement pulled me over they admired the red dragon. Other than stating the obvious that I love the gun I am finding that it gives me much more range. 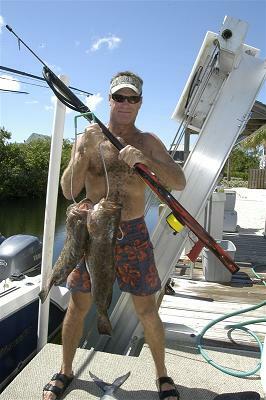 I dont like wounding fish and having them get away so I have always tried to be conservative in my shot selection. Now that I have been able to test the gun more I am surprised at the range I now feel confident in using. The release is so fast and clean. 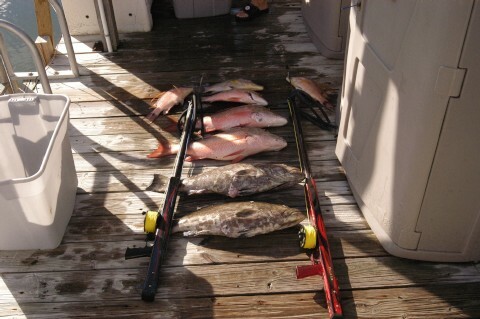 We had more fish not pictured and I did not miss anything I shot at. AJ has a thing for BIG muttons, he can find them and hit his mark. BIG Muttons will always remind me of you. 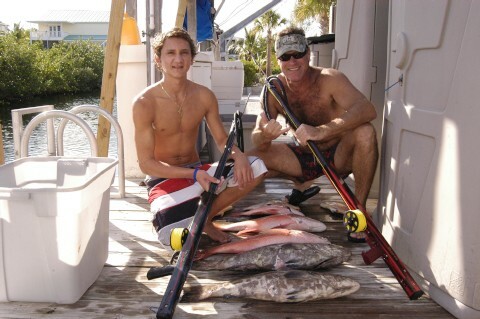 Last weekend #1 Spearfishing Dad John Hally and his son AJ invited me up to their home for a always appreciated fishing trip. While loading the gear I came across an awesome piece of art I didn't recognize which I carried to the boat. They pointed out to me that it had BIG DOG ROB inscribed on it (with your signature right next to it). Obviously you know about this. Attached is the first day we all got to enjoy getting out together. 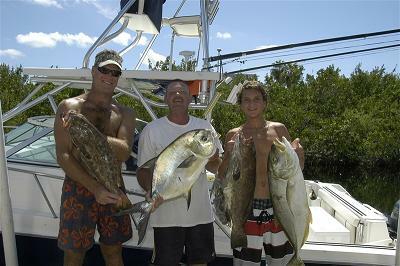 They both were right next to me when I head shot the first grouper (perfect head shot). It was within a quarter mile from the BIG Mutton you shot when we were here last year. Looking up to the heavens I could feel my Mama & Daddy smiling down upon me. We shot some good eatins that we shared with our friends/neighbors. I am sitting on top of the world. Thank You for making me feel like something so special words cannot describe. When I go down with my Red Dragon I will have so much more with me.